Hookahs, despite their long history in Middle Eastern cultures, are often treated as little more than fancy water pipes here in the US—something to be tucked away in a corner or stowed on a shelf when not in use. But this modern incarnation of the ancient smoking device is so drop-dead gorgeous, you'll want to display it on your mantelpiece. 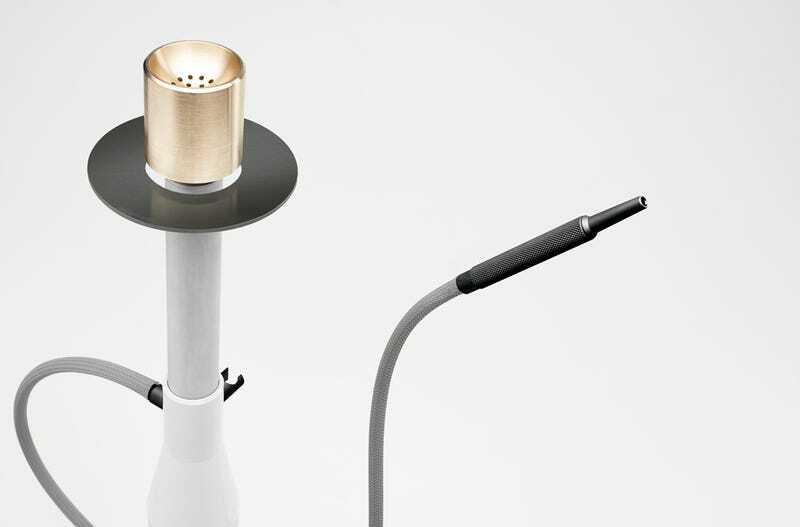 Created by former motorsport concept vehicle designer Christian Zanzotti and called the 1001, this hookah combines cutting-edge crafting techniques—such as 3D printing—with sleek materials like anodized aluminum and polished brass. What's more, each hand-built, made-to-order hookah is constructed over the course of four weeks using "the highest automotive production standards," according to the Thousand and One website.